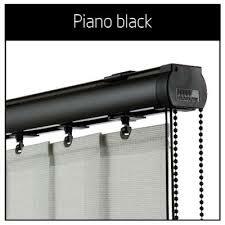 Vertical Blinds are a great way of providing attractive, stylish window covering to large areas of glass such as Patio doors, picture windows and conservatory sides. 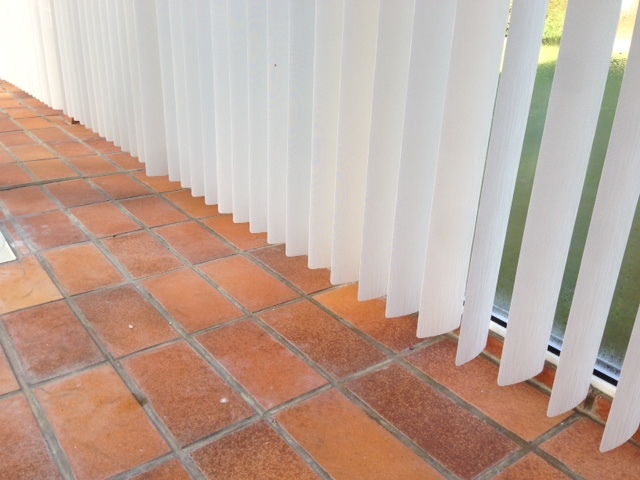 The ability to draw them like curtains and turn the louvers through 90 degrees provides some level of visible security and maximum light control. 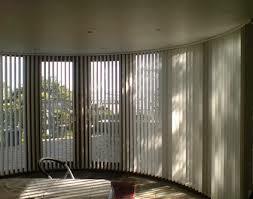 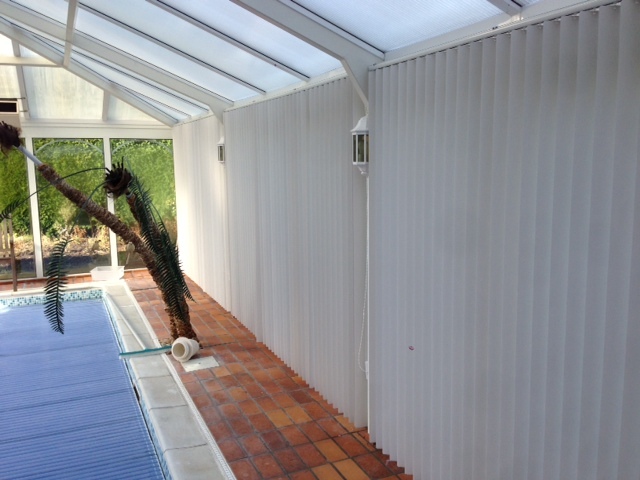 There is a massive range of fabrics to chose from in addition to rigid louvers which are made of PVC aluminum or wood. 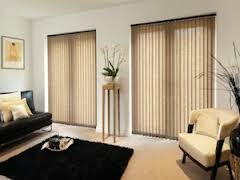 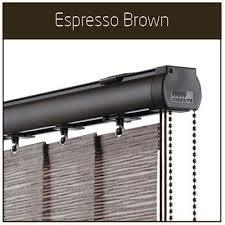 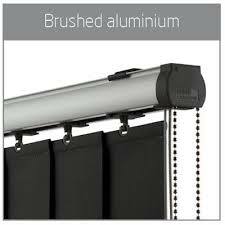 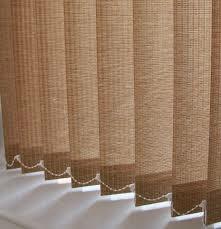 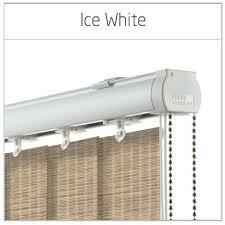 As with all of our blinds, all vertical blinds come with child safe options such as cord guides or wand control.